Corey began his career as a Registered Nurse in the Surgical Intensive Care Unit of Yale New Haven Hospital. He decided to make a career shift into the Financial Services industry because he wanted to build something he could call his own and help others in a more proactive less reactive way. Merging the two worlds, Corey is now able to address a key area of overall health and wellness. Physical and mental wellness is directly affected by one area most people overlook, financial wellness. Whether it’s stress, uncertainty, or disorganization, financial wellness is a crucial component to our overall health. 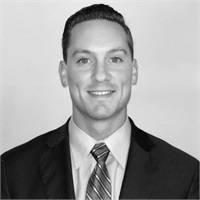 Corey works with a team of specialists to address his clients pain points such as, saving for retirement, protecting income, managing assets, and monitoring a strategy to keep up with the changing environment. While working in a Level 1 Trauma Center, Corey witnesses firsthand what happens when an unexpected life event occurs and how it can change people’s lives instantly. Protecting individuals, families, and businesses from those unexpected events is a proactive way to serve members his community. The last thing loved ones should be worrying about in those situations is where to find crucial documents, how to pay for upcoming care and or arrangements, and how this will impact them personally. Corey helps clients save income, protect assets and loved ones, and grow wealth throughout their lives. In his spare time, Corey enjoys staying active with sports, working out at the gym, and snowboarding. He also enjoys spending time with family, friends, and his two cats.